I looked at the first 2 days of the challenge and thought, "I guess this seems doable...", but as my gaze shifted from the 2nd day onwards, my eyes widened as my gaze eventually landed on the final day of the month. 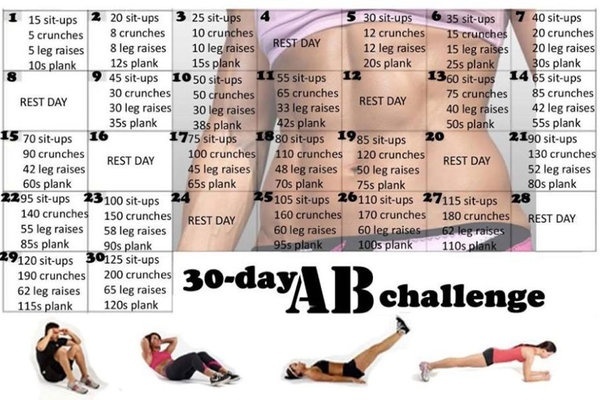 I began to question and doubt my ability (200 crunches like whut even), and asked myself whether this was even possible. BUT I MADE IT! The whole of June consisted of these intensive ab routines, squeezed into my day and was used as a 'study break' during the exam period. It was undoubtedly gruelling, and there were days where I was tempted to just skip that day due to this accumulation of lethargy as well as the "can't be bothered" attitude. Tip 1: Do it with a buddy! I dragged JT into attempting this challenge with me, and thankfully he wasn't too hard to convince. As the days progressed and each challenge escalated in difficulty, we would complain to each other and dread the end of the day where we knew we would face this arduous workout. But after marginal complaint and a bit of whinging, we knew we had to JUST DO IT (thanks Shia). Keeping each other accountable is such a simple but effective measure to take as your tendency to give up or neglect some days of the challenge are lessened. Tip 2: Start with the set you find most challenging. 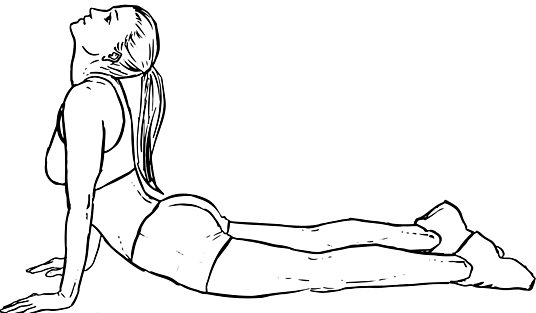 For me, I found that the muscle around my lower abdominal area was weaker in comparison to my upper abdominal area. Hence, I found leg raises more intense than sit ups and crunches. By starting with the most taxing or 'hardest' set, the rest of your sit ups, crunches, and planks will seem less intensive and will enable you to progress at a more efficient rate. Tip 3: Blast some music! Music always makes a workout that little bit more enjoyable. Play your favourite tunes, and sing along with them in your head! Time will seem to pass faster, especially when you are doing your planks. This alleviates the tension whilst counting down and stops you from constantly looking at your stopwatch or waiting for your timer to beep. Tip 4: Breathe at a steady pace. It surprised me how much the rate at which you breathe or how you actually breathe can affect your performance during a workout. It is a key performance factor that shouldn't be overlooked. For your sit ups and crunches, try breathing in as you go down, and out as you go up. Make sure you breathe at equal rates. Tip 5: Hold onto something during leg raises. Yes, this is my most hated part of the challenge. However, JT informed me that stretching your hands behind you to hold onto something (e.g. leg of the table) whilst doing the leg raises not only makes it less strenuous, but also allows the pressure to be felt solely on the lower abdominal area rather than putting pressure on your whole back. Tip 6: Slow and steady wins the race. Don't be impatient and feel the need to rush the workout! Each task is meant to be done consecutively, so you don't get to take breaks in between. You'll feel the burn much faster if you're doing it at a fast pace, but this may inhibit you from being able to complete the workout in one go. However if you are fully capable of fulfilling each task at a fast pace, by all means go ahead! I'm envious of your well-developed muscles haha. Tip 8: BE POSITIVE. Do not possess the "I can't do it" attitude. Honestly, everyone has the potential to complete this workout! Yes, this workout is meant to be difficult, but that's why it is called a CHALLENGE. If you're struggling, trust me you are not the only one. It is physically and mentally taxing, but if your mindset consists of positive thoughts and eradicates any self-doubt, you will be fine :) have that goal in the back of your mind, and you'll feel a great sense of accomplishment at the end of the month!